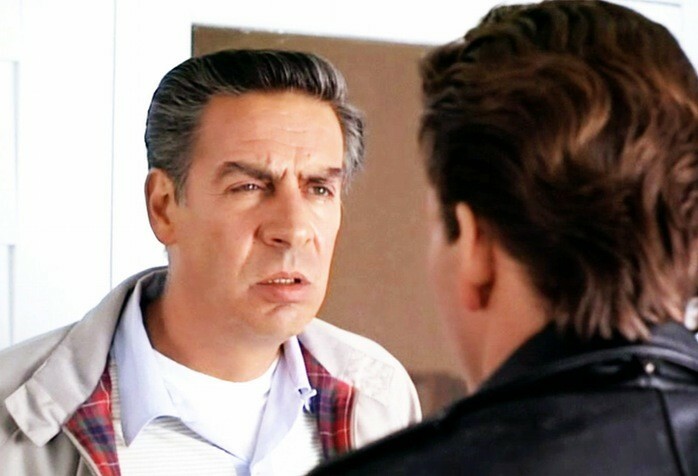 Jerry Orbach just wants to enjoy a nice, relaxing vacation in the Catskills. But when a lithe, greasy exhibitionist catches the eye of his innocent, rhythmless daughter, Orbach must leap into action. How will this cardiganed hero of the common man maintain order in the face of such torrid summer chaos? Romance! Intrigue! Watermelons! Abortions! Join hands and hearts and voices, voices hearts and hands! Co-starring Lorelai’s mom from Gilmore Girls and Space Jam’s Wayne Knight.